This week’s MMMM is about that little figure Nakano San, M.U.S.C.L.E. 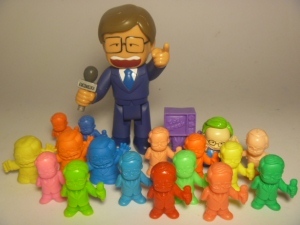 figure #162 – The Announcer. This is one of my five favorite figures and easily my favorite of the four small M.U.S.C.L.E. figures that were released. What’s not to like? He’s a cool looking figure, funny as hell in the Kinnikuman cartoon, and easy to display as a large collection because he takes up almost no space on the shelf. 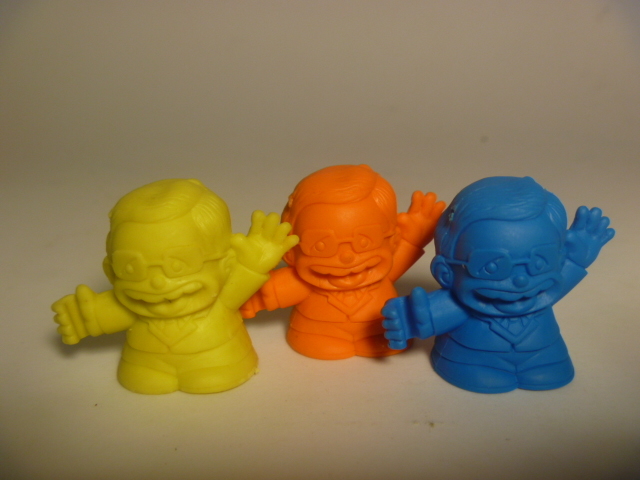 Actually, I do have one gripe with this figure – why did Mattel make him in only four colors? I want more! I have been able to pick up an extra couple of announcer figures. The SD Kinkeshi was able to help feed my addiction. And then Banpresto made a cool looking green haired version and paired him with Robin Mask in the packaging. There is also a very nice Romando figure. If you haven’t seen the cartoon, Nakano San actually wears a wig which pops off at various times, same can happen with the Romando figure which I quite like. I have also been able to find one (and only one) custom #162 in a bright green color. I want more. 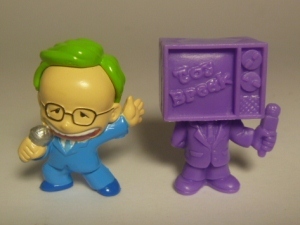 And lastly, there is this Toy Break figure, exclusive to Comic Con 2013, which is an announcer body with a TV stuck on his head. Not being able to go to a Comic Con, I was able to pilfer this on eBay and add it to my collection. I don’t know how many were made, and some may say it’s not even an announcer figure, but for someone like me who wants anything Nakano San related, having half the announcer sculpt is better than none! This entry was posted on Monday, September 16th, 2013 and is filed under UofM News. You can follow any responses to this entry through RSS 2.0. You can skip to the end and leave a response. Pinging is currently not allowed. The little green haired announcer guy is just way too cool. That guy needs to get casted in various colors. I want one. lol! I have a spare one available! 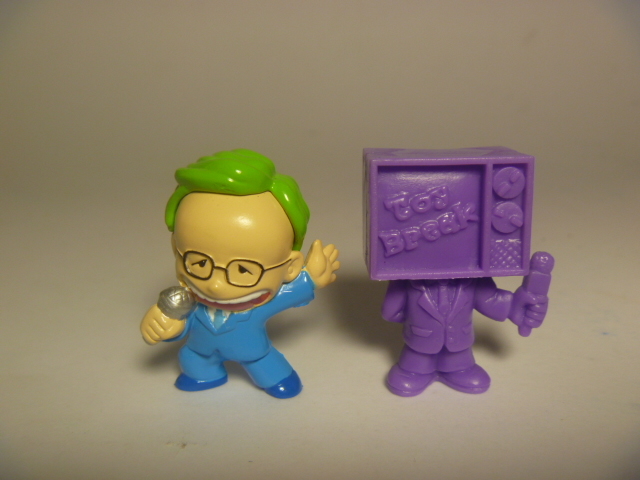 If you look close, you can see that the Toy Break announcer is an entirely new sculpt. Pretty impressive to be able to copy that sculpt from scratch. 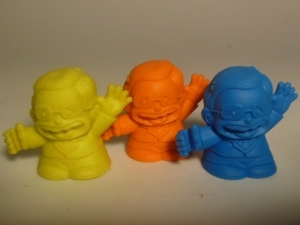 If anyone has or knows how to get any Announcer figures, please let me know. I have a fluorescent green announcer. Is it worth anything to anyone?